“It felt good to know we were helping others…. it was fun to serve people a meal, because they were thanking us and telling us how appreciative they were.” Maddy was a returning participant in the First Congregational Church of Vernon’s Week of Service – this was the church’s third year completing its Week of Service with Hands On Hartford’s Community Engagement team. 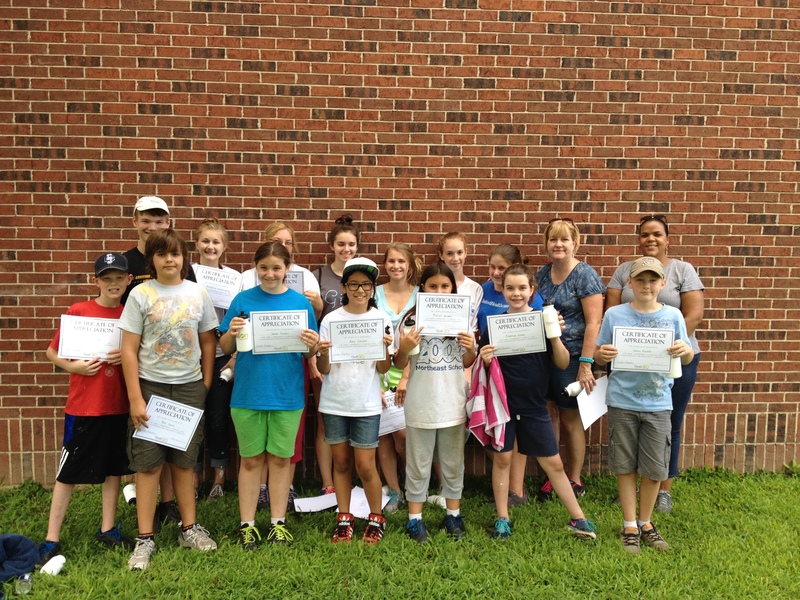 During one hot, sunny week in July, a group of 15 youth along with two adult chaperones gave their time all across the City of Hartford. 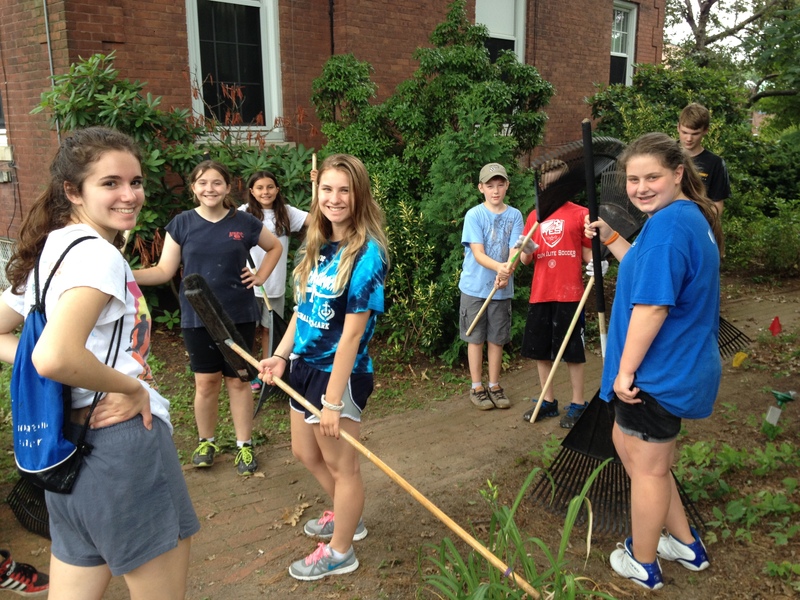 This immersion experience gave participants the opportunity to learn about the effects of poverty in Hartford, and then the chance to step in and make a difference. The next two days were spent at our MANNA programs – first at the MANNA Community Pantry, our full-choice shopping model food pantry. The kids ran a food drive at Stop and Shop of Hartford, where they collected 141 pounds of food, and then they stocked the food pantry shelves, assisted clients of the pantry in shopping for food, and did some general cleaning. At the MANNA Community Meals program, they prepared and served lunch for 78 guests, and, much to the delight of the guests, hosted an ice cream sundae party, providing and prepping sundaes with a choice of caramel, hot fudge or strawberry topping – a welcome treat on a hot summer day. This energetic group of young people wrapped up their week at Simpson-Waverly Classical Magnet School, one of Hands On Hartford’s community partners. 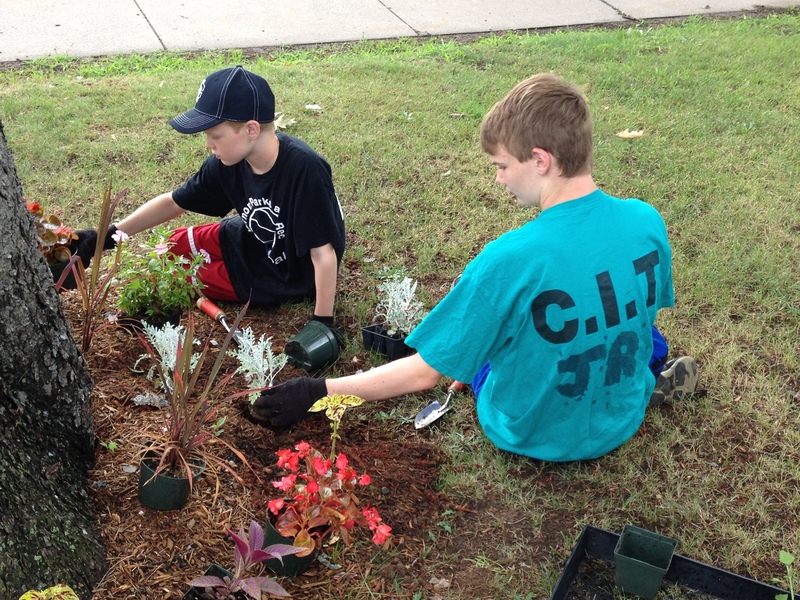 They planned and painted parking lot lines to ensure the safe parking of vehicles in the school’s parking lot, and also weeded, mulched and planted flowers. With the limited funding available to Hartford public schools, it makes a huge difference to have this help beautifying the grounds so that when the school children return in the fall they can be proud of their school inside and out. Altogether, First Church of Vernon completed 435 hours of service the Hartford Community, and touched the lives of hundreds of our Hartford neighbors in need. The energy, good will and hard work of this entire group was a real inspiration to all of us here at Hands On Hartford and we definitely look forward to working with them again in the future.